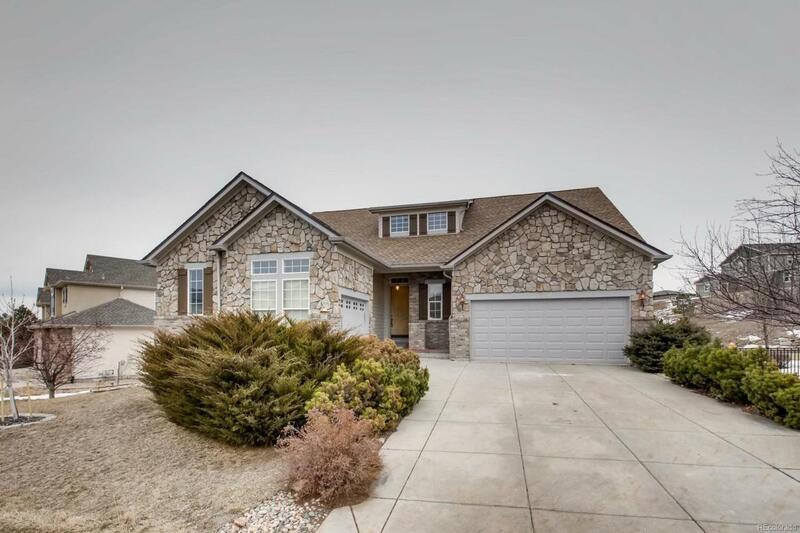 Beautiful 3 bedroom ranch home in Plum Creek community located in Castle Rock. NEW granite countertops in kitchen & bathrooms; NEW carpet; NEW interior paint; NEW exterior paint; NEW double oven & dishwasher in kitchen; NEW faucets in kitchen, jack & jill bathroom, & kitchen; NEW water heater; hardwood floors buffed & recoated ... This home is ready for you to move in and make yours! This corner lot backing to a greenbelt offers privacy in the backyard with large deck. Bonus - the backyard features fruit bearing cherry, peach, apple and pear trees along the North side of the house. The large master bedroom is complete with a 5-piece master bathroom and the secondary bedrooms share a jack & jill bathroom. The eat-in kitchen offers lots of natural light & counter space with brand new granite countertops and a work station perfect for a quaint home office. This home has it all - curb appeal, main floor living, golf course community and almost everything inside is NEW & UPDATED!